Hey Hey! Ayer encontré estos tesoros en Ebay! Nunca he comprado en esta web pero estoy pensando en hacerlo. Desafortunadamente no estos cinturones porque para mi son un poquito caros, de todas maneras, algo comprare seguro!jeje. Llevo muuucho tiempo buscando uno de estos, seguiré en ello. Hey Hey! Yesterday I found these treasures, they're from Ebay! I have never bought anything in that web site but I'm thinking of doing it. 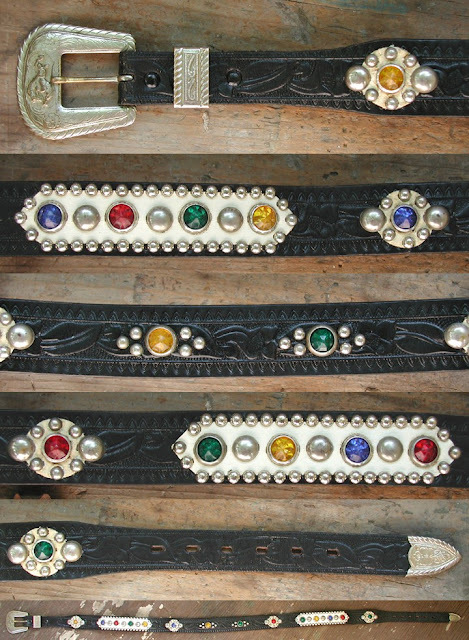 Unfortunately not these amazing belts because for me, they're a bit expensive, anyway, I will buy something!haha. I've been looking for a looong time one similar, so I will go on with this.